A boy, we have a 4 year old girl already so its fun and games in our house at the moment. Also Congratulations! Congratulations on becoming a Dad again @Stu_T! Btw a FB friend of mine, Chris, just received his TateFX Antares and is BLOOMIN DELIGHTED with it. So I've been away for a while I'd thought I'd add a bit more actual content to the thread! Something that's very important for a pedal with low background noise is power filtering. 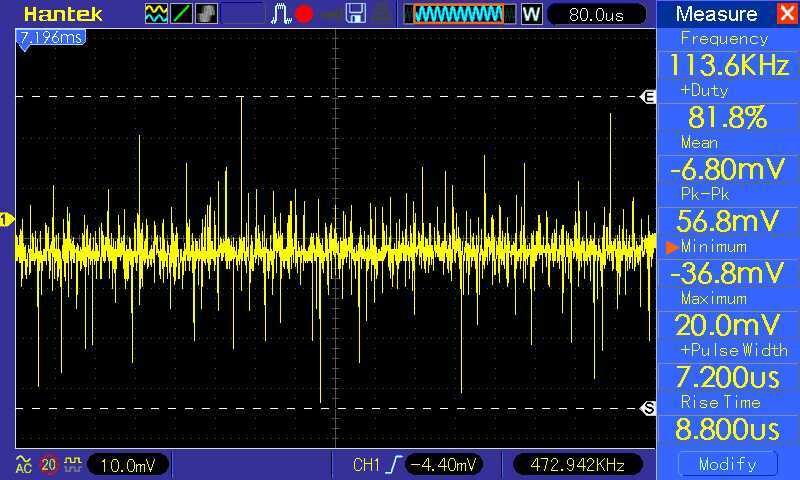 We will start with a 9V EHX adaptor, this is the 9V signal from the adaptor. The long spikes are high frequency noise which we do not want in the pedal. Have you ever plugged a pedal in that's instantly noisy? That's probably why! In order for a nice low background noise pedal we need to remove these high frequency ripples from the supply line. This is the very simple circuit I use in pedals. I also use protection against the wrong power supply but that's for a different post! R1 47r resistor is in series from 9V feed, this with the 2 capacitors in parrel to ground acts as a a low pass filter which attenuates high frequency impulse noise. 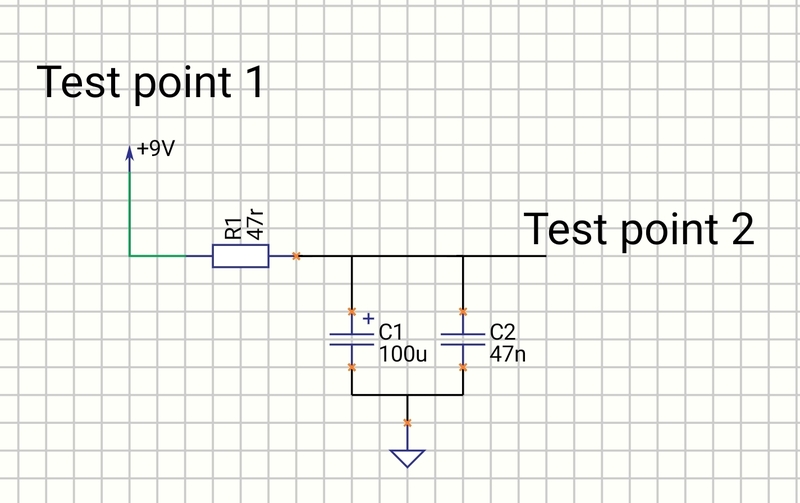 There's a further discussion about the use and placement of decoupling capacitors around parts with a higher current draw like IC's etc but again that's another post. 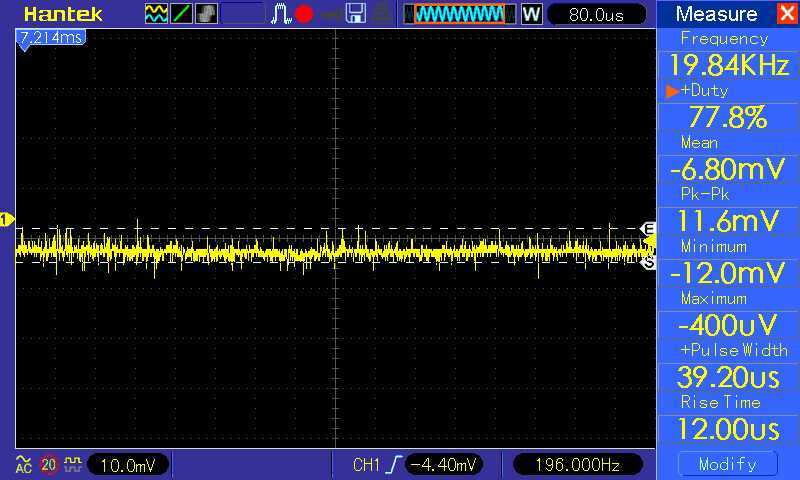 This is the power signal after the filtering, you can see most if not all of the high frequency impulses have been removed. Giving a much lower noise floor in the pedal.